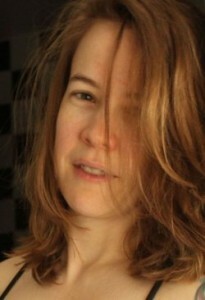 Jennie Wood is the creator of the critically acclaimed, award-winning Flutter graphic novel series. Featured in The New York Times, Boston Globe,and on Law & Order: SVU, Flutter is one of the best LGBTQ graphic novels of 2013 and 2015, according to The Advocate. In November 2018, Dark Horse Comics published The Flutter Collection, all three volumes combined into one book. Jennie is also the author of the YA novel, A Boy Like Me, which is a Next Generation Indie Book Awards finalist, an INDIEFAB Book of the Year finalist, and one of Foreword Reviews’10 Best Indie YA novels for 2014. She is an ongoing contributor to The New York Times best-selling, award-winning FUBAR anthologies. Her work can be seen in other anthologies, including The New York Times best-selling, Eisner award-winning anthology Love is Love, the Harvey-nominated 27, A Comic Anthology, and Baroque Pop, an anthology inspired by the music of Lana Del Rey. Late in 2018, Altered Realty Comics announced that Jennie would be the writer for their ongoing Rhode Warrior series. Born and raised in North Carolina, Jennie currently lives in Boston, Massachusetts, where she’s written non-fiction features for infoplease.com for the last five years. She also teaches at Grub Street, Boston’s independent writing center. When she’s not writing, Jennie is usually playing her Fender Lone Star Stratocaster really LOUD.